Emilie Kahn, formerly known as Emilie & Ogden is thrilled to announce her sophomore full-length album, Outro ; a remorseful exit from youth, available everywhere February 22nd via Secret City Records. Three years after releasing her first album 10 000, Kahn is no longer the same songwriter. She’s dropped the moniker and with it any sense of impersonation; what’s left is Emilie as herself, a keen writer determined to bend pop to her will. Outro, produced in collaboration with Warren C. Spicer of Plants and Animals, shows a craftswoman come into her own. The songs have become something else, something older. Outro is a pained look back at the past as Kahn pores over every misplaced feeling and bad call. Teeming with adulthood’s melancholy, Kahn offers indie pop crafted with a miniaturist hand toward intimacy, while still reaching for the grandiosity of the genre’s icons. This is a record that stings as much as it soothes, and never misses a chance to swing for the fences as she glances around one last time before heading off to some future island. a record of folk-inspired indie ballads soaked in the pains of youth. The harpist traced a lovesick narrative across haunting blends of electronica and indie rock. 10 000 was a pop album of its own league, and it quickly garnered wide acclaim (The New York Times, Les Inrocks, The New Yorker, Pop Matters and more) for a new artist only beginning to discover her talents. Her initial success gave way to more: a headlining tour; Festival circuits and sold out marquees; Stints opening for Half Moon Run and European dates with Plants and Animals. 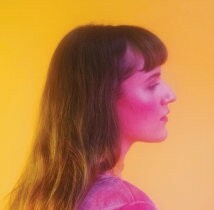 Soon, Emilie had found her seat at the table in the burgeoning Montreal indie rock scene. In 2016 she releases an acoustic EP titled 10 000 Solo and both recordings have generated over 4 million streams online. Emilie Kahn also released a cover of Taylor Swift’s “Style.” Swift shared the rendition via her personal Twitter, and the cover became viral. To date it has received over 370,000 YouTube views.